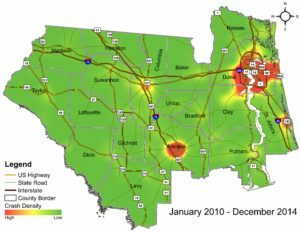 For decades Northeast Florida’s Community Traffic Safety Team has been promoting the wonderfully effective Celebrate Safely, Designate A Driver program. 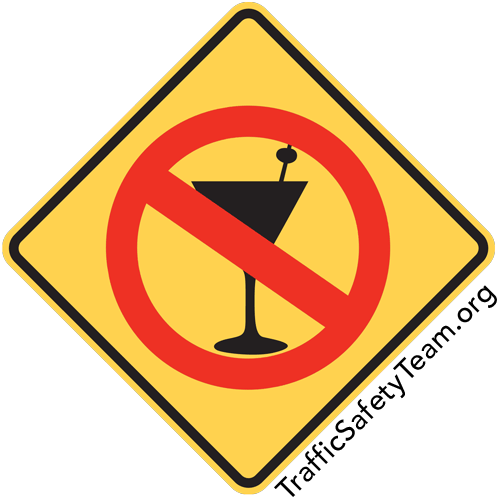 The current design is indicative of a flashing neon sign touting the Celebrate Safely, Designate A Driver name set against a brick background. 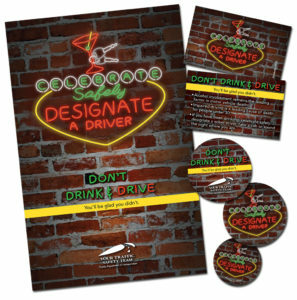 The promotional materials include a poster, safety tip card, coaster and sticker. 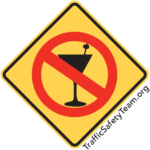 Over 400 restaurants participate every year in the 18 Northeast Florida counties, offering free non-alcoholic drinks to “designated drivers”. 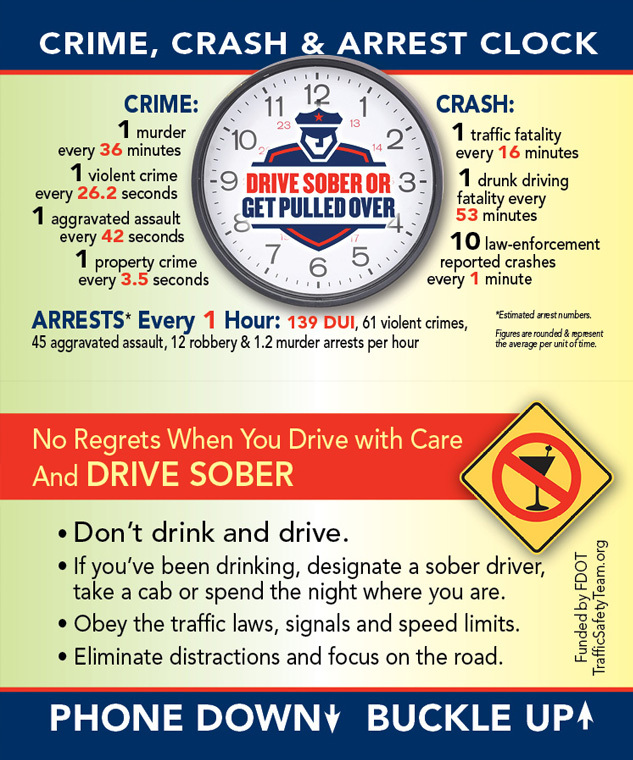 If you have been drinking, celebrate safely… designate a sober driver, take a cab or spend the night where you are. • Alcohol involvement remains the leading factor in motor vehicle deaths. • Impaired driving is a leading cause of death for people under 30. 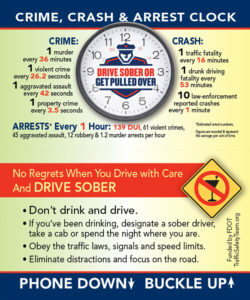 • About 3 in every 10 Americans will be in an alcohol-related crash at some time in their lives. • Alcohol is a depressant, which alters physical and mental coordination. • Males are four times more likely than females to drive after drinking. • An alcohol fatality occurs every 33 minutes, every 2 minutes someone is injured. The campaign’s “Don’t Drink & Drive” message is key at any time of year, and especially during the holidays. The “Fabulous Mocktails & Safety Tips” book is full of great non-alcoholic beverage recipes, a few sweet treats and important traffic safety messages from local partners and the Florida Department of Transportation. 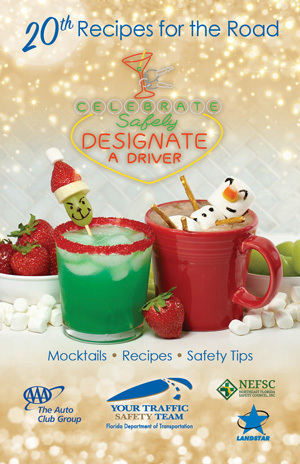 The annual Recipes for the Road is a great non-alcoholic drink recipe booklet that reinforces the important “Celebrate Safely – Designate a Driver”, impaired driving traffic safety message in a fun, festive manner. Every year it brings great community partners to help spread the word about not drinking and driving as well as other traffic safety tips. Click here to learn more and view previous years’ Recipes for the Road books. Each year on average, more than 10,000 people die on the road due to drunk driving. You can help spread the word and save lives. The word is Drive Sober or Get Pulled Over. 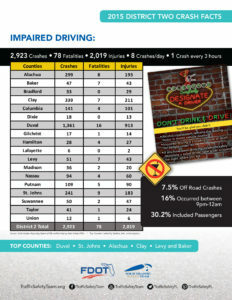 This tip card illustrates the crime, crash and arrest stats within the hour, along with traffic safety guidelines. No Regrets When You Drive with Care and DRIVE SOBER. If you’ve been drinking designate a sober driver, take a cab or spend the night where you are. Eliminate distractions and focus on the road.